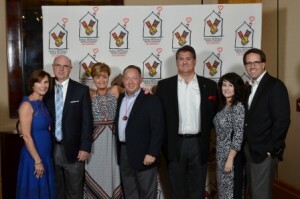 Our Annual Heart of the House Gala was on August 7th at the Sheraton Birmingham. 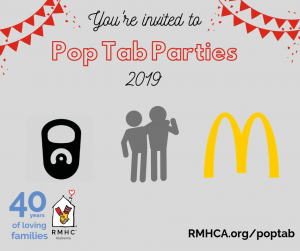 We had a great night raising money for Ronald McDonald House Charities of Alabama — thanks to our sponsors, volunteers, and guests we raised over $146,000. This money will go toward our yearly budget of $1.4 million to operate the House in Birmingham and the Family Room in Tuscaloosa. This is consistently our biggest fundraiser of the year and this year did not disappoint. Guests started the night by enjoying cocktails and hors d’oeuvres while participating in some event games. They had the opportunity to purchase a Mystery Bag, play “Best of Live,” purchase necklaces to play Heads or Tails and even enjoy a glass of champagne while taking a chance at winning a Diamonds Direct necklace. The photo booth was also set up to capture silly faces and more! We introduced Mobile Bidding for the first time this year for the Silent Auction which was a huge success. Guests loved being able to continue bidding from their dinner table. After dinner, they had a chance to participate in our Live Auction and then a DJ rocked the House so they could dance the night away. If you were unable to attend our Gala, you probably have not seen the family video that was shown, but you can view it on our Family Stories blog. Typically the featured family would attend the Gala, but unfortunately Donovan was receiving treatment at Children’s of Alabama and was unable to attend. Special thanks to all guests who were in attendance and truly made the event a night to remember. We also want to give a big shout out to our volunteers who truly are the heart of events like these — we could not have done it without you. THANK YOU! You can view all the #HOH15 photos on our flickr account!